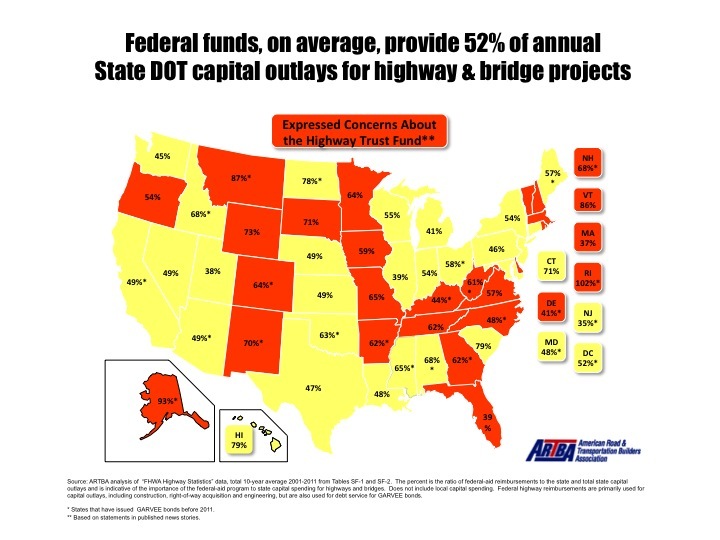 The Florida Department of Transportation (FDOT) June 26 became the 23rd state to express uncertainty about the future of major infrastructure projects because of the failure on Capitol Hill to fix the Highway Trust Fund. Federal funding for new highway and bridge projects expires October 1 unless Congress acts. FDOT has already begun prioritizing funding needs, with a focus on safety and preservation projects. “The other projects that we’re working on or that we’re planning toward, we may have to start cutting back on those,” said Ron Tittle, FDOT public information officer. According to ARTBA research, 22 other states have already made public statements about the HTF situation and how it will impact their future activities. Arkansas has already halted work on 10 projects valued at $60 million.